There are a number of reasons you might be tempted to make a foray in the world of food to forge a viable business. You may be a natural talent in the kitchen and able to cook up a storm at a moment’s notice. You may have an exceptional palette, enjoy dining out at the finest restaurants, and you think you could use your business acumen to support the latest forward thinking chef in bringing his or food to market. Or perhaps running your own eatery is a long-held dream and you want to turn it into a reality. Whatever the reason is for you attempting to make it big in the food realm, there are a number of things you need to consider before launching your venture. Firstly, you need to decide the sort of food business you want to make your mark in. There are plenty of restaurants opening up every year and even more closing down. The food world is lucrative, but can be cut throat with competition fierce for those diners who want to try a new and exciting cuisine. An alternative to a restaurant could be a catering company. This would give you much more freedom to dictate your own hours, work off-site in other people’s houses and not have the worry of paying the lease on a premises. You can start small and take on staff as and when you need. The joy of catering means that you can work with people on a more personal basis and get to know their wants and needs from the gastronomic delights you will be cooking for them. There’s nothing more satisfying than being booked to cater for the reception of a wedding, your food going down a storm, and you helping the happy couple have the best day of their lives. If catering seems a bit bland and the food that you offer up has something more hedonistic, rustic and different about it, you may want to venture into the world of street food. Festivals across the country now invite smaller companies to pitch up and sell their morsels of deliciousness to the public. Everyone who turns up at these events is already a foodie, so you will be preaching to the converted masses. If your food is good, then it’s easy to generate a following quickly. You might cook Caribbean cuisine, Creole wonders, American grits, or sweet delights. Whatever it is that you specialize in, if you have a tent, a converted catering horsebox or a stall, you could be down at the festival every weekend and basking in the vibe of the crowds. 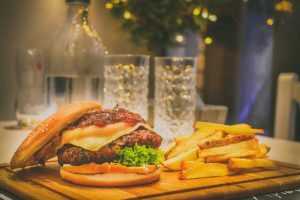 No matter what sort of food business you are going to run, you need to get the boring and more mundane practicalities sorted before you can get onto the exciting part of cooking up the grub. Yes, you might yawn, but it’s vital that you treat this business venture with the respect that it deserves and that you construct a well thought out and constructed business plan. You need to make financial forecasts for at least the next two years, detail where your funding will be coming from and the sorts of measures you will take if things don’t quite go according to plan. You should detail the vision for your restaurant, your food tent or your catering business. Do you want to expand to different regions? Do you want to take part in twelve festivals a year? Or do you want to specialize in corporate catering? Your business plan will help focus your future goals. When it comes to sorting out the readies in order to launch your business, you should investigate all avenues. The bank is always an option, and with an excellent credit score, a strong business plan and the ability to show yourself as a responsible borrower, you may be able to negotiate a loan. However, there are other channels worthy of your focus. Consider heading to a business angel and pitching your idea for investment. With any luck, they will be as enthused as you and be willing to part with some of their cash in return for a stake in your startup. Business angels aren’t simply sources of finance but also knowledge and expertise – perfect for the ambitious entrepreneur to tap into. Crowdfunding is this century’s postmodern funding source. 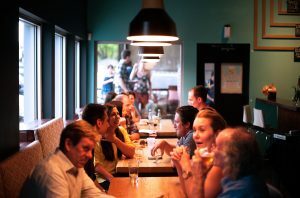 By pitching your idea for a new eatery or fusion cuisine online, you could find yourself with hundreds of smaller investors, eager to see you succeed. These foodies may be from across the globe, and the chances are that you will never meet them but the connectivity that the wonderful online world affords means you can tap funding sources that never existed a decade ago. Being part of a customer facing trade means that customer service should be high on your agenda. The common old adage that the customer is always right might not be easy to always live up to, but it’s vital that you cater for the needs of your clientele. If you are planning to run a restaurant, make your dining experience convenient and efficient from the moment your potential diner first searches for your restaurant. By ensuring that you purchase software that enables appointment booking online, you are visible and accessible twenty four hours a day, not simply when someone is available to man the phone. This also takes the burden off of a physical reservations book and leads to much less chance of human error. When your customer walks through the door, they will want to be seated quickly and have their orders taken in a prompt manner. You need to have a system for your covers, ensuring that each diner is looked after. You want to create a relaxed atmosphere where your waiting staff subtly maneuver around the tables without being too overbearing. The ambiance of an eatery is almost as important as the food itself for the dining experience. You could have the finest cuisine locally, but if the kitchen is loud, the staff disorganized, and the service terrible, people will not return. You need to consider how to price your cuisine very carefully. Street food businesses can make lucrative profits on their dishes at festivals. You pay for your pitch and your ingredients and then work out what sort of mark up you want to make on each meal. A restaurant requires a little bit more number crunching but the premise is the same. You need to cover your overheads, staff wages, utilities bills, and rent before you even consider profits. Head to your competition and have a meal. How does their pricing compare and are they successful? Pitch your pricing too low, and you will end up loss leading for most of the time. Pitch too high, and you could find yourself becoming isolated within a competitive foodie field. You need to strike the balance so that your customers feel that they are getting value for money and you can have yourself a viable and profitable business. Consider where your premises will need to be if you are opening up an eatery. If you need to be in the thick of it with plenty of passing footfall, then a city center location may be ideal. However, these venues and buildings inevitably charge higher lease fees for the luxury of being in such a prime position. 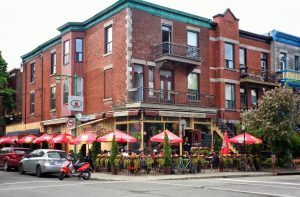 An alternative may be to choose a smaller restaurant space or alter the location. Starting small has its benefits as you won’t be overawed quickly and you can expand as your clientele grows. It’s vital that you launch your business within your financial means and don’t up the prices of your food simply to cover costs. If the product you are offering isn’t good value, your potential customer base will shun what you have on offer and will eat at a competitor’s restaurant. Making it within the food industry is no easy task. Even the best chefs in the world open eateries across the globe only for them to have to close them down within a couple of years. There needs to be an appetite for the food that you cook. You need to bring something new and vibrant to the food scene. You might experiment with fusion dishes, or you could introduce a whole new regional cuisine to an area, or you might set up a unique style of dining experience. Your food needs to be top notch and cannot simply be what you cook every evening for your supper. Hone your talent in the kitchen, practice every single dish you want to have on your well crafted menu, and take your food to market to gain some honest feedback. Your friends and family are too subjective, and rightly so, but you need raw and honest critique to see your food startup thrive. Only when you have honed your business plan, funding, style, ethos, branding, and flavors, will you be ready to make a success of your food business.